Yossi Kirma, who was murdered in a shooting attack in Jerusalem two years ago, will receive medal of honor. 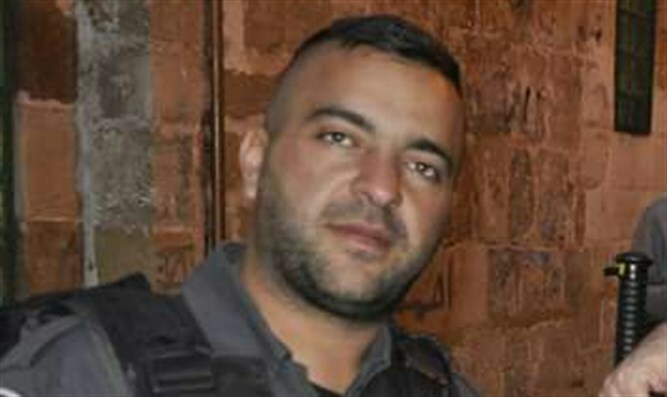 Police Commissioner Roni Alsheikh has agreed to the request of Jerusalem District Commander Yoram Halevy and will award a medal of honor to Yossi Kirma, an officer in the Yassam Special Patrol Unit of the Israel Police who was murdered in a shooting attack in Jerusalem two years ago and prevented a much larger attack. The police initially decided to grant Kirma the Police Commissioner’s citation, but following a protest by his father, it was decided to award him the medal of honor at a ceremony to take place in two weeks. Uzi Kirma, Yossi’s father, will receive the medal in his son’s name. According to a report on Hadashot TV on Thursday, the bereaved father argued that it was inconceivable that the two fighters who eliminated the terrorist who murdered his son would receive the medal of honor while his son would receive a lower citation. At the request of the Jerusalem District Commander, Yoram Halevy, the Commissioner agreed to change his initial decision and give the highest citation to the murdered officer. The reason for the change in the decision was explained in that Kirma’s pursuit of the terrorist prevented a much larger attack. It was determined that Kirma’s actions caused the terrorist to fire at him, and the terrorist was forced to reveal his location, leading to his elimination.